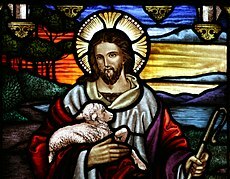 ^ 马太福音 2 and Luke 2:1-20. Jenkins, R.M., "The Star of Bethlehem and the Comet of 66AD"[永久失效連結], Journal of the British Astronomy Association, June 2004, 114, pp. 336-43. 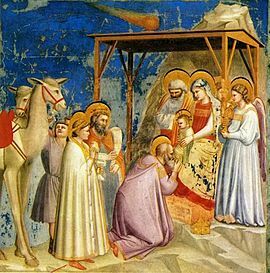 This article argues that the Star of Bethlehem is a historical fiction influenced by the appearance of Halley Comet in AD 66. Martin, Dr. Ernest L., The Star of Bethlehem: The Star that Astonished the World, (1996). Martin favors the theory that the star was a conjunction of Venus and Jupiter in 2 BC (elaborating on Roger Sinnott's 1968 thesis). Molnar, Michael R., Revealing the Star of Bethlehem[永久失效連結]. Proposes that the "star" was an occultation of Jupiter by the moon in 6 BC. Newman, Robert C., "The Star of Bethlehem: A Natural-Supernatural Hybrid? ", Interdisciplinary Biblical Research Institute, 2001. A variation on the Sinnott thesis. Includes a table of conjunctions and star charts. Matthew 2 Biblical text on the magi and the star. The Bethlehem Star. Gives possible scientific explanations of the Star of Bethlehem.